ICTO received the delegation from the Office of Informatization, Nanjing University on 8 August, 2017. 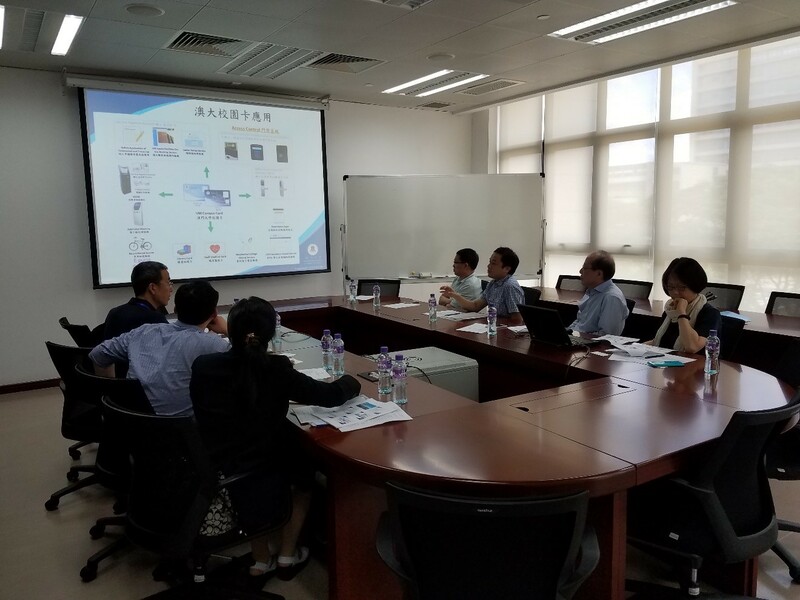 This event, organized as part of an exchange between the Nanjing University and the University of Macau to enhancing sharing and to discuss on campus IT management between the two universities. Mr. Chong Wing Kong, Director of ICTO, Ms. Fiona O, Head of IUS, Mr. Stanley Seak, Head of IMS, and Mr. Antony Si Tou, Head of ACTS, have shared the development of campus IT services in UM with the delegation.